The receipt validation code normally depends on OpenSSL 1.0 and higher. Plus, the code needs to be statically or dynamically linked. 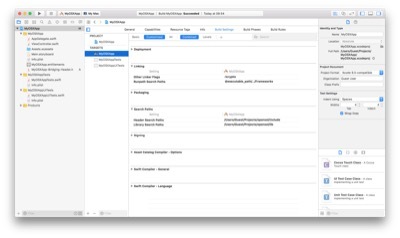 This guide describes how to prepare a Xcode project to use the OpenSSL static library. One particular aspect of the OpenSSL project, is that the binaries are not distributed; only the sources are available. Use the Cocoa pods: execute the command pod OpenSSL or pod OpenSSL-LET (check out the CocoaPods website for more options). This is the preferred way as it makes the setup easier. 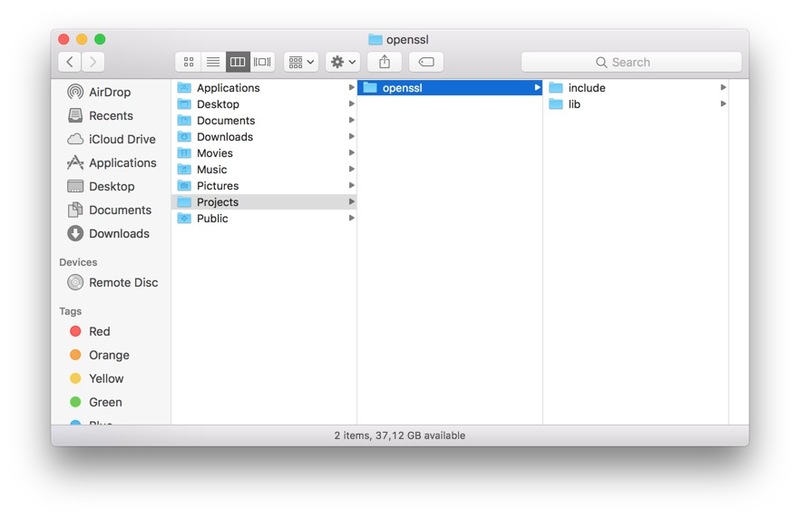 Use the MacPort project: execute the command sudo port install OpenSSL. 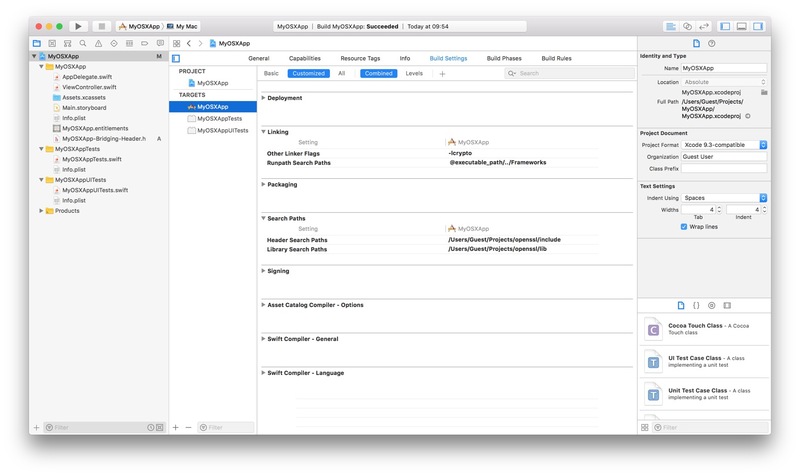 If you have downloaded a pre-built package, you need to configure your Xcode project in order to have access to the OpenSSL headers/libraries. We assume that the pre-built package has been uncompressed in the /Users/Guest/Projects/openssl folder. The folder should contains an include folder and a lib folder. Select the All and Combined filters. From the beginning, Receigen has always used up-to-date code and functions and carefully avoided deprecated APIs, in order to stay fully functional across system upgrades. As the system-bundled OpenSSL shared library is deprecated (since OS X 10.7), Receigen was using the Security framework functions for the receipt parsing and for the cryptographic operations. Unfortunately, using the Security framework has lead to a serie of exploits by offering a way to attack validation code; long story short, the Security framework symbols are vulnerable to runtime injection/swap/swizzling. An attacker can make the application load a shared libraries that will replace some symbols and bypass the various validation checks. In order to prevent this kind of attacks, Receigen is now using a statically linked OpenSSL library for all its cryptographic operations. Another major reason to switch to OpenSSL was that iOS does not offer enough API to parse and verify the receipt. OpenSSL is therefore the best candidate to provide a robust and cross-platform receipt validation code.